C Series offers compact CCD cameras with resolutions from VGA to 2 megapixels. 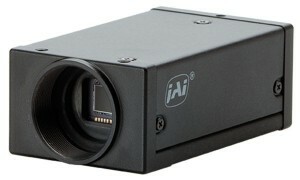 Since their introduction in 2007, the C-Series cameras have tackled a wide range of industrial applications. Most models in the C Series are available in monochrome and color versions. Three models are available with UV sensitive sensors. Standard digital interface options include GigE Vision, Mini Camera Link, and Power over Mini Camera Link.